Your contacts are all the people you collaborate with. You can have your employees, clients and contractors here, or other contacts too. 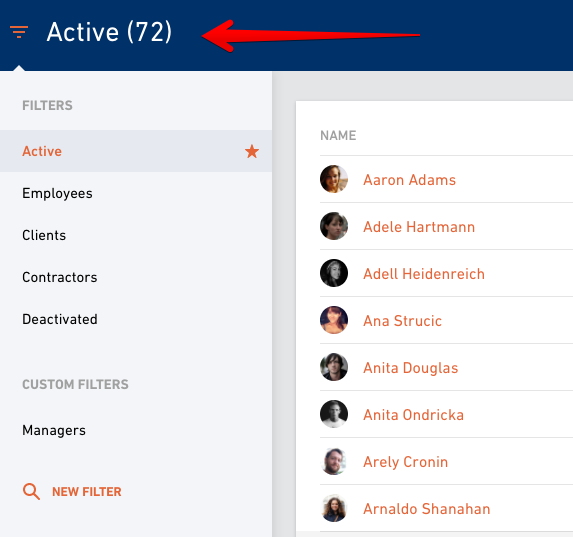 All the clients, companies and employees (in other words all the contacts) you have in Productive are located in the same place - tab Contacts. This is the place you'll be looking for when adding a new employee or a client or deactivating the old one. Contacts are organized into two main lists: People and Companies. List of people is a list of all the active contacts (meaning they haven't been deactivated yet) both employees and clients. If you need more detailed view, use the filters on the left. Or return to the active people list. 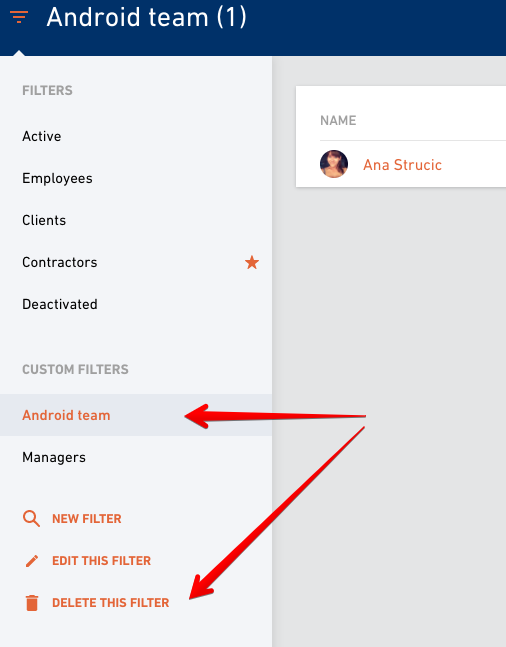 If you click on the star next to the filter name, this will be your default list view. You can also create and save your own filters. 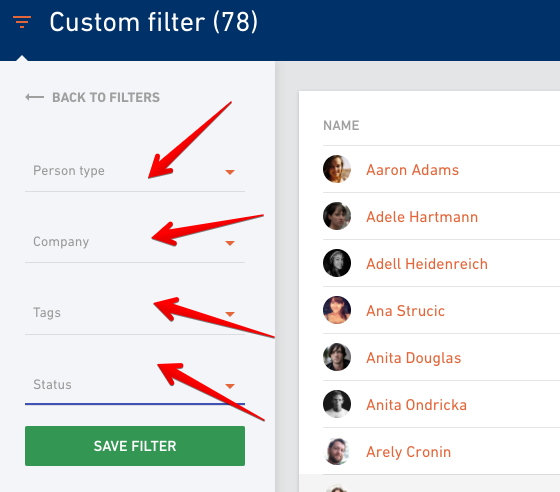 This is useful when you want to have a list of your team members or a list of your clients or some other specific group of people in one place. Define criteria for the filter, add a name and save the filter. You can always edit or delete the filter afterwards. The same rules work for the list of Companies. Active companies are listed by default. If you're looking for deactivated companies select filters on the left. 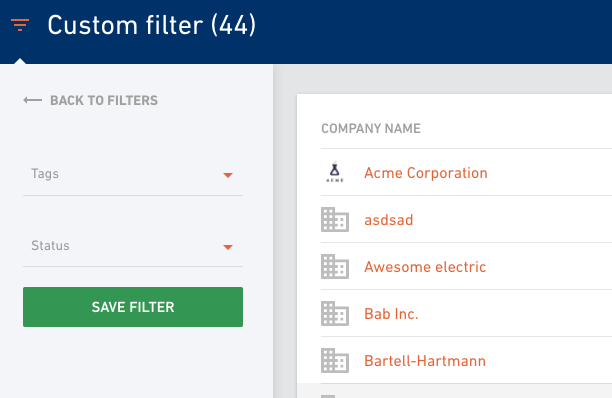 Create a New filter if you want to get a more refined companies list.